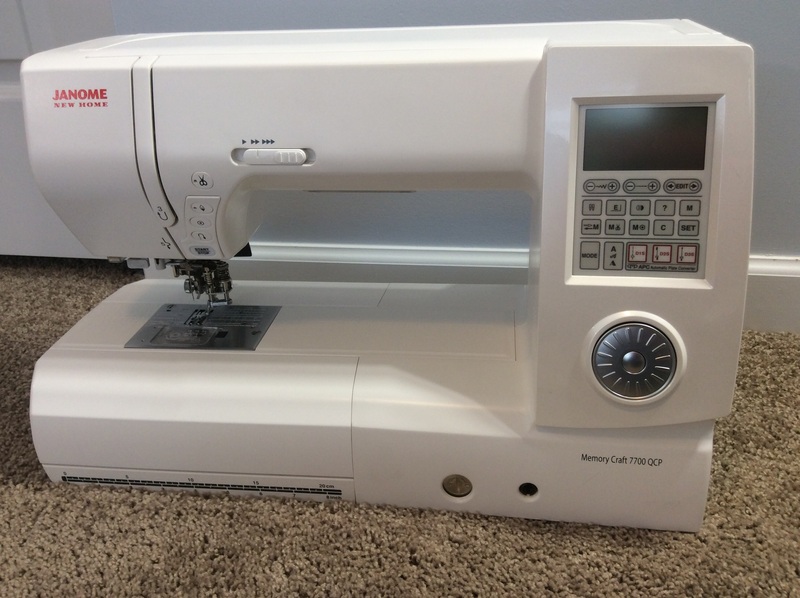 I can’t believe I’m actually typing out these words: I BOUGHT A NEW SEWING MACHINE!!!!!! 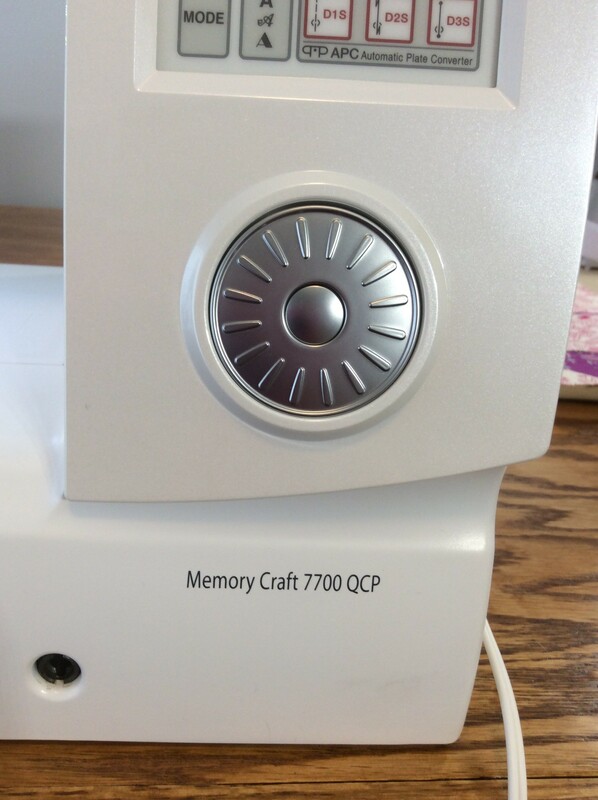 Here it is – the Janome Memory Craft 7700 QCP. Since I literally just got this machine, I’m not in a position to do a review yet. It does have 11 full inches of throat space, came with quite a few feet, and has storage to hold all of its accessories. To rotate through the stitch options, it has a jogger dial that mimics a classic iPod. 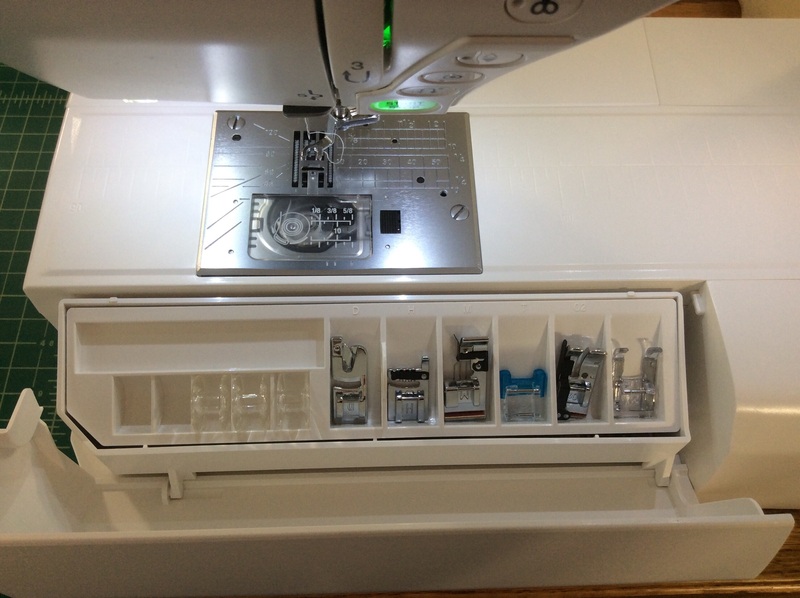 On either side of the needle plate, there is a storage bin to hold feet and odds and ends like the screwdriver, cleaning brush, and spool caps. 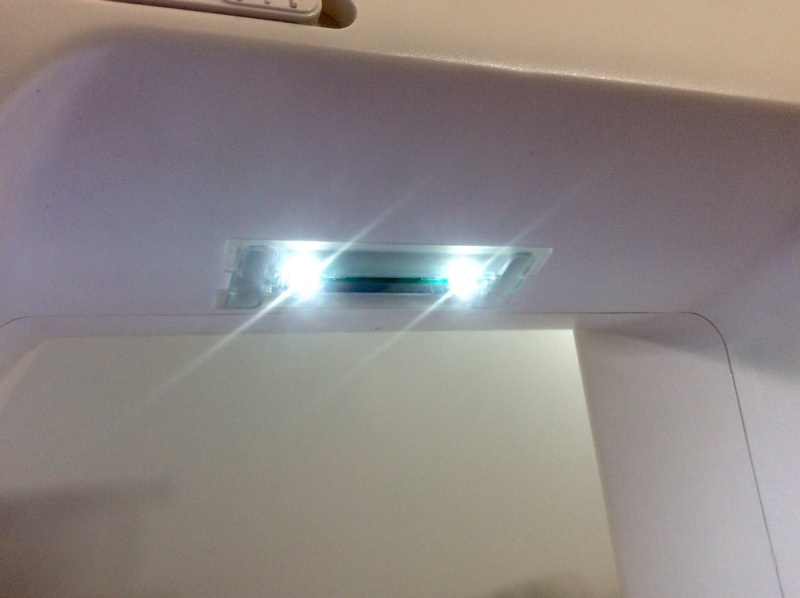 There are quite a few bright LED lights on the machine. 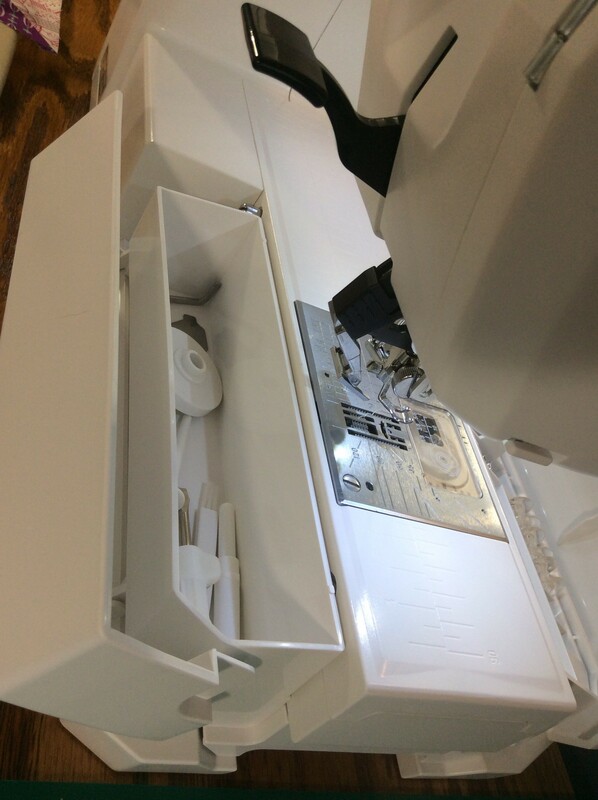 The bed of the machine slips off to reveal a free arm – which will be perfect for making bags and if I ever start making garments. 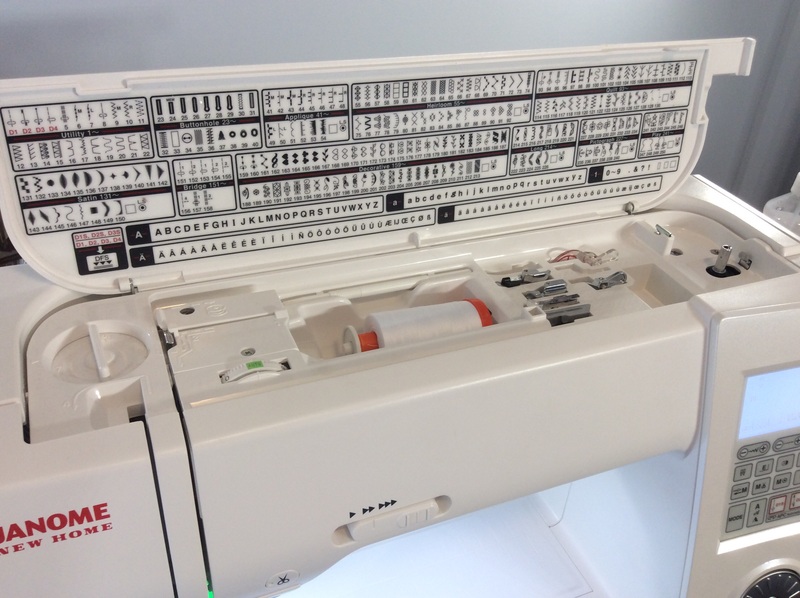 Here’s a look at the sewing area up close. 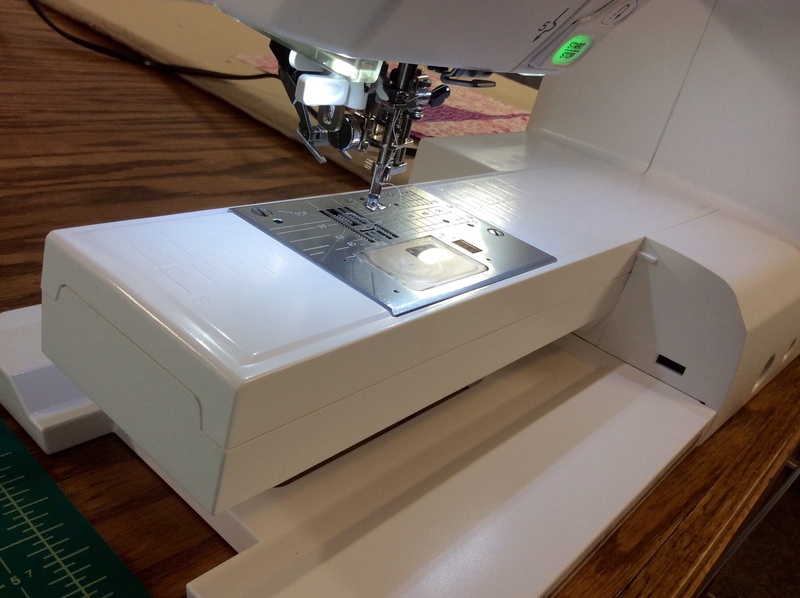 Shown with the free motion quilting foot. 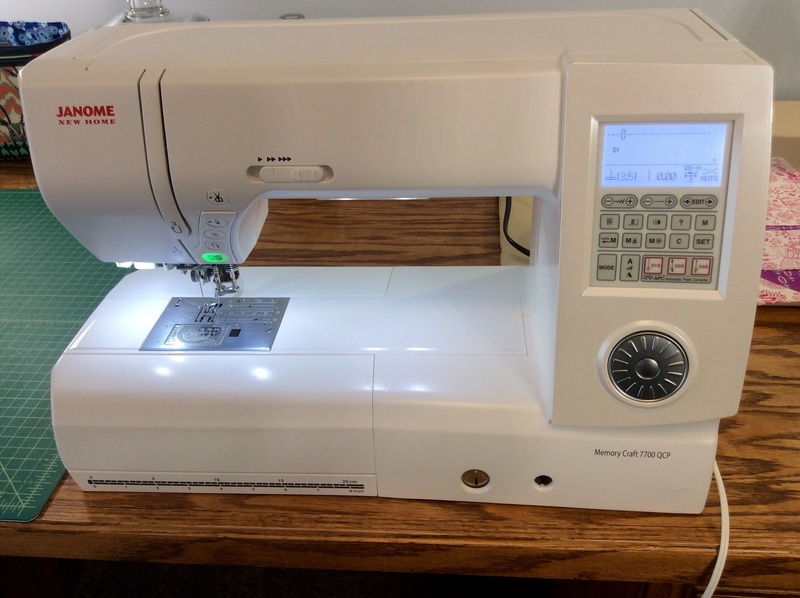 As many sewers and quilters had recommended to me, I purchased my new machine from a Janome dealership in the Atlanta area. It seems to be retailing in the neighborhood of $2,500 online and in physical stores. My deal included three years of free labor and three free tune-ups. I did have a few hiccups with the machine. Out of the box, it was missing two parts – the “A” Zigzag foot and the Large Spool Cap. I have called the dealership and explained the situation, and hopefully they will provide replacement parts the next time I’m there. 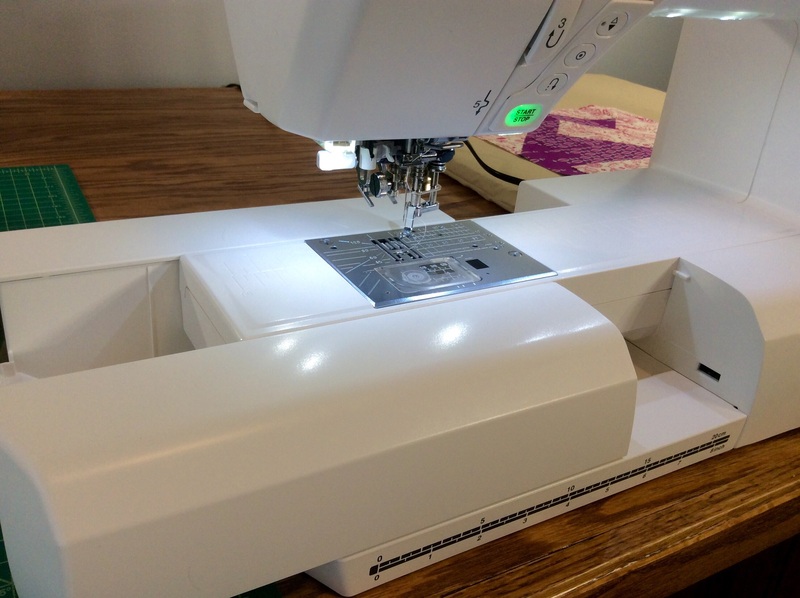 Once I get acclimated with the machine, I will do a follow-up review post to share my experiences.